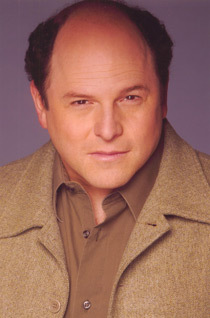 The LLama Butchers: Things That Make You Go "Hmmmmm..."
Things That Make You Go "Hmmmmm..."
Does the fact that Jason Alexander, aka George Costanza, is starring in an upcoming production of Bernstein's Candide at Wolf Trap count as another example of the workings of the Seinfeld Curse? I think so. I think so. sheesh. Everyone is a critic. What would we do without the magnanimous new blog showcase? Image courtesy of the lovely and talented Sarah G.
STEVE-O: Founder and Llama Emeritus. Last seen in late 2006 headed into the Andean highlands with Helen Hunt and a crate of trade-gin. GARY THE EX-DONK: Refugee from jackass politics and resident Tolkien Geek. MR. LMC: Special Llama Military Correspondent and keeper of the "Aging But Still Hawt Movie Stars" Llama Seal of Approval. ROBBO: Well, somebody has to be in charge of the pooper-skooper 'round here! All nasty emails will be published and subjected to harsh mockery. Make our day! I like the title. But, hell, I like your logo. My favorite on the Internet, so don't trust me. WHY DON'T YOU GO BACK TO FRANCE! Why do I hate the LLamas? Because they're so damn geeky, they make George Will look like Lenny Kravitz. "Blogging Llamas. Does that seem right to you?" Sites we think are orgle-icious. Want to join in the Llama Luv? Want us to stay the hell away from you? Drop a line to Skippy the Llama Link-Master care of the Tasty Bits(TM) Mail Sack and we'll see what we can do.